Young consumers across the country will face rates lower than early forecasts, but still much higher than they might be used to. New federal regulations require carriers to price coverage equally regardless of medical history or gender and will offer more generous coverage and more benefits than plans do today. 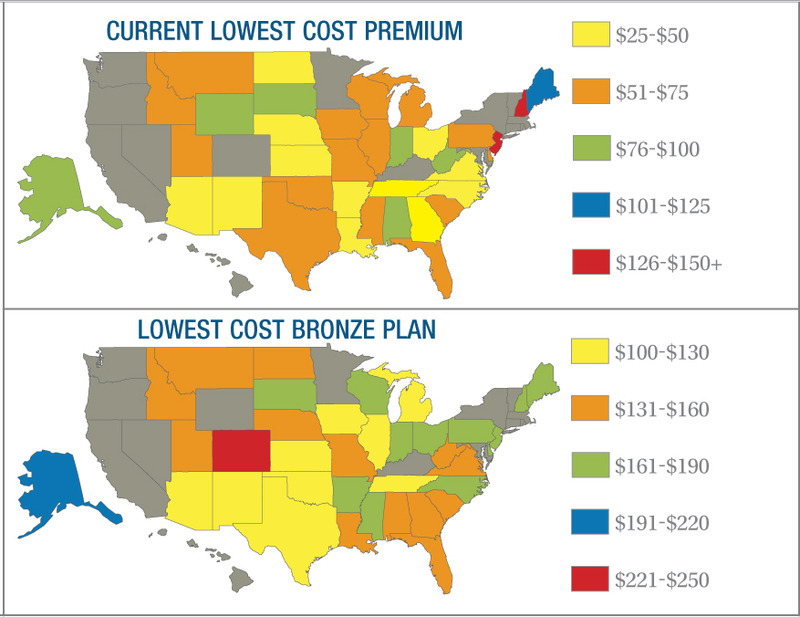 Compare insurance premiums for the lowest-cost ‘bronze’ plan for a 27-year-old single person with the current lowest-cost option for a man in a metro area in 36 states where the federal government will oversee exchanges. Some people may be eligible for subsidies towards the cost of coverage.